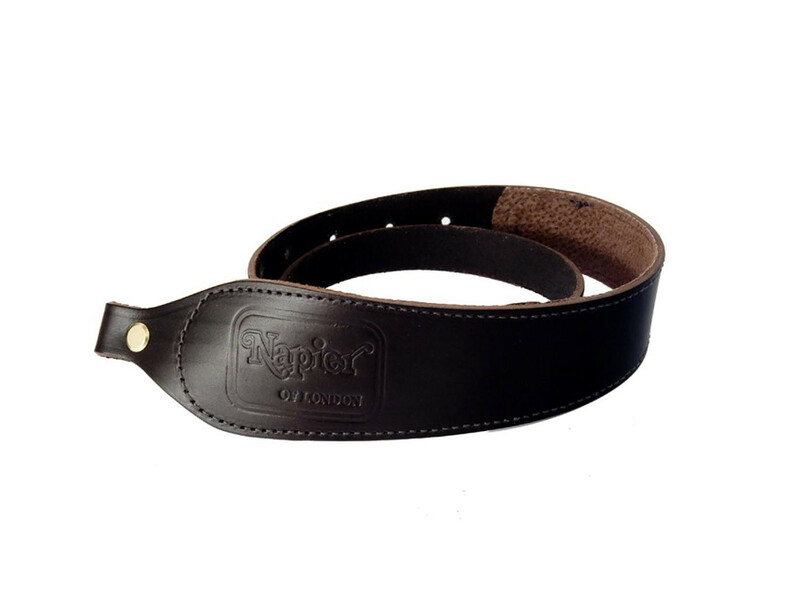 Finest oiled leather sling with brass fittings and lined with non slip suede. Lined with non slip suede. Stitched with an attractive design. Embossed with the Napier logo.